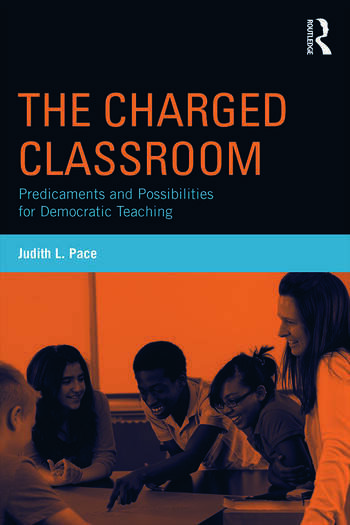 At a time when debate over school reform commands unprecedented attention, Judith L. Pace argues we must grapple with the underlying challenges of classroom teaching and, at the same time, strive to realize the ideals of democratic education. Building on three qualitative studies in grades four through twelve, The Charged Classroom examines the deeply embedded tensions, escalating pressures, and exciting possibilities of the contemporary American public school classroom. Through detailed descriptions and analyses of social studies and English language arts classrooms, Pace disentangles how teachers and students navigate three charged arenas: academic expectations, discussion of provocative topics, and curricular demands. In each domain, democratic learning opportunities, such as promotion of positive student identity, dialogue across differences, and exploration of conflict, are both opened up and closed down. A passionate and persuasive call for education reform, the book offers crucial insights about the realities of teaching and key recommendations for advancing democratic education in a multicultural society. Judith L. Pace is Associate Professor and Chair of the Teacher Education Department at the University of San Francisco, USA.